Club Penguin Cheats by Mimo777 Club Penguin Cheats by Mimo777: Club Penguin Online Store Upgrade! 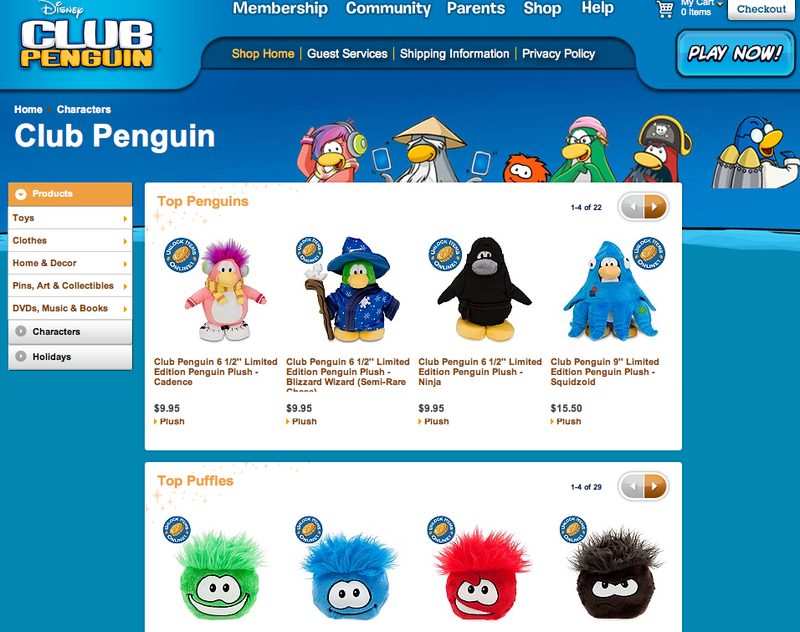 Have you been to the Club Penguin online store lately? I often check it for new toys and such, and today I noticed it has been overhauled. This page has several new categories. I particularly like the Home & Decor section! I guess this is the place the giant bean bag puffle chair should be! You can keep up with all the Club Penguin Toys here! I need a bean bag because my old one burst and the stuff came out LOL it was funny! I love reading on them dont you? no? Ok. I'm gonna get it! woo hoo! ___________________________ lol i think that ok !! Mimo i noticed there is a fire water card jitsu pack, hmmm does this me there will be a ice dojo? Yeah, I want it :( No need for you to put a sorry sign for ! because you just used 1 right? There probably might not be a ice dojo maybe there will. Just wanted to say, the cart surfer stamps have come out, but it's only the 4th. So I brought my black puffle and it didn't show up so I tried to get some stamps, but I didn't get any - wierd! Thw Cart Surfer stamps r out Mimo but theres a glitch and they dont work! PETA will eat your soul for saying that! Actually puffles don't exist so PETA couldn't do anything to you... I might just buy one just to laugh at PETA. JK everyone! Cool! I was looking at the puffles in the store and the black puffle with its mouth open is BROWN! Maybe its eating chocolate or maybe... I gotta go to the bathroom! !